Rare and previously unreleased loops. 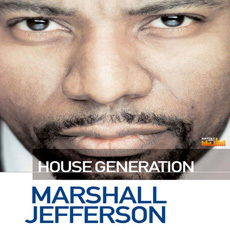 There are a handful of men who have the title of 'Godfather' of house music, and while many have legitimate claims to the title, because of seniority and being there at the beginning, one stands out from the crowd as being the one that actually defined not only House music, but dance music itself as we know it today, his name is Marshall Jefferson. Marshall recruited the services of luminaries such as Byron Stingly and Paris Brightledge to record a great selection of classic House vocals, Chris ‘Bam Bam’ Westbrook recorded the guitars, Louie Louie played percussion, Ed Funk was on Drums, whilst Sherman Burks and Rob Crawford recorded the keyboard loops. Perhaps one of the biggest triumphs of this exclusive sample collection has to be the recuitment by Marshall of Orbert Davis from the Chicago Jazz Philharmonic, who was put in charge of capturing an awesome selection of live House Strings and Brass Sections for the project, which we are sure you are going to love. Marshall’s dedication to the project and musical input has resulted in a truly unique collection of rare and previously unreleased loops, which are sure to grace many hits in the future, both within the House genre and other styles. Besides being executive producer for all the artists involved in the project and writing all the main musical parts, Marshall also recorded a great selection of 303 bass lines, keys and did much of the editing himself, and we are all very proud of the results.